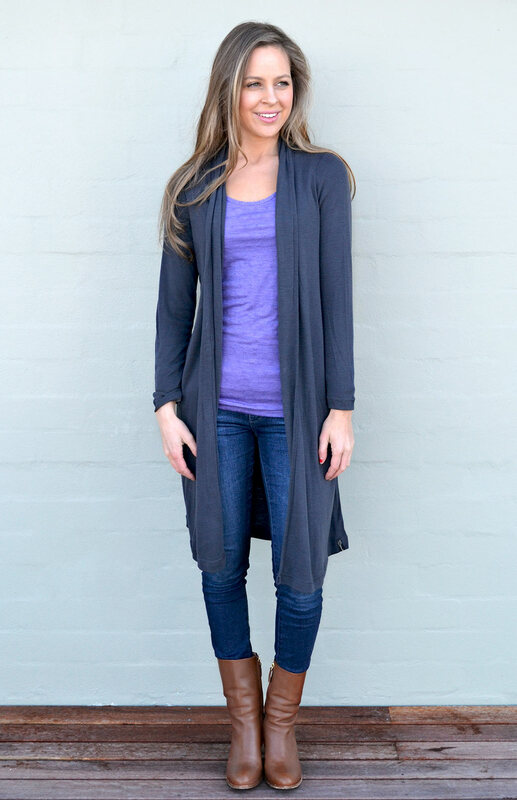 Our Lightweight Drape Cardigan is a gorgeous match for your Winter dresses and comfy jeans! The flattering and elegant drape of the collar and neckline keep you snuggly and warm - without adding bulk or any unnecessary layers. Ending just below the knee - this longer style is super easy to wear - simply slip on and you're ready to go. No buttons, zips or fastenings - simply slip on over as many layers as you need.